Guests of participants walking in the morning commencement should arrive at The Palace Theater, 100 E. Main Street Waterbury, starting at 9 a.m. and by 10 a.m. All guests must have a ticket to enter the theater. Seating is assigned and guests must use the main theater entrance only. Guests arriving after the start of the processional, which will enter the theater at 10 a.m. SHARP, will be asked to wait in the lobby until the processional is complete, and will then be seated. Free student and guest parking is available at the Scovill Street Garage, 33 Scovill Street, Waterbury. 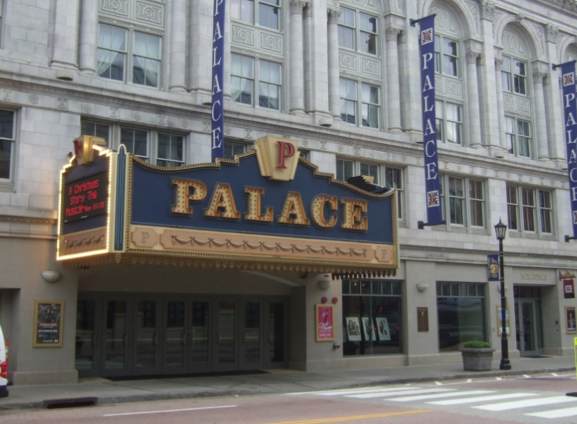 Both The Palace Theater, where guests should report, and Post University’s downtown offices, where students should report for check-in, are a short walk away. Post Associates will be on duty to guide you to and from the parking garage. A handicapped drop-off zone is located directly in front of The Palace Theater. Guests of students walking in the afternoon commencement should arrive at The Palace Theater, 100 E. Main Street Waterbury, starting at 2 p.m. and by 3 p.m. All guests must have a ticket to enter the theater. Seating is assigned, and guests must use the main theater entrance only. Guests arriving after the start of the processional, which will enter the theater at 3 p.m. SHARP, will be asked to wait in the lobby until the processional is complete, and will then be seated. 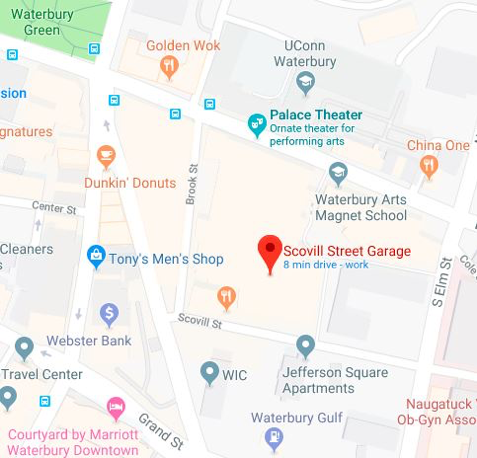 Free student and guest parking is available at the Scovill Street Garage, 33 Scovill Street, Waterbury. 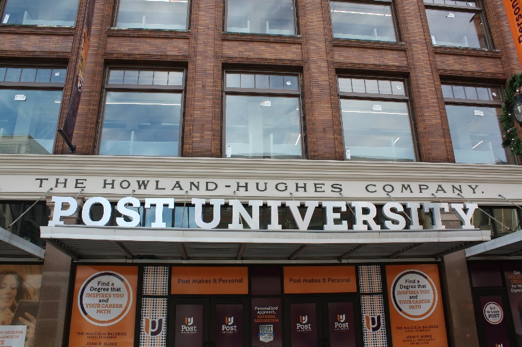 Both The Palace Theater, where guests should report, and Post University’s downtown offices, where students should report for check-in, are a short walk away. Post Associates will be on duty to guide you to and from the parking garage throughout the day. A handicapped drop-off zone is located directly in front of The Palace Theater. NOT PERMITTED INSIDE THE THEATER: alcoholic beverages, smoking or vaping, and balloons of any kind. Please note there is no place to store valuables during the ceremony (i.e. large purses, cameras, etc. ), so please only bring what is necessary that will fit under your seat or on your lap.